﻿﻿﻿ The major factors identified as important for ensuring a community’s access to fresh, healthy food are protecting agricultural land and production on the edge of urban areas, facilitating forms of urban agriculture, and establishing farmers’ markets and retail establishments that carry a variety of healthy food. 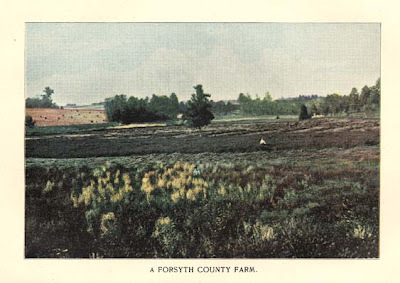 The Forsyth County Farmland Preservation Program is a voluntary program that has helped to preserve farming activities. The Voluntary Agricultural District program and the Agricultural Tourism Use Classification are two other tools recently employed by the county to assist in maintaining land on the periphery of urban areas in agricultural use. Even with these tools in place, other tools for maintaining land on the urban fringe in agriculture and encouraging food production on these lands need to be explored. Urban Agriculture/Community Gardens are movements that have developed due to the concern for nutrition and the cost of shipping food around the nation. Urban farming can take a variety of forms and can include community gardens, rooftop gardening and hydroponic agriculture.